Chalk up another “win” for employers in the latest legal battle involving wellness programs. Can You Force Employees to Participate? This growing trend toward high-stakes incentives to participate in group health plans has raised eyebrows at the Equal Employment Opportunity Commission (EEOC), the enforcement agency behind the Americans with Disabilities Act (ADA). 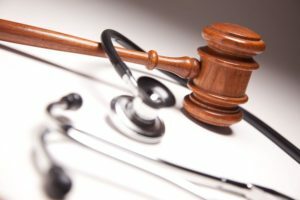 The ADA prohibits covered employers from making health-related inquiries or requiring medical examinations of employees, unless participation is voluntary. But what does “voluntary” mean? The EEOC has questioned wellness programs where the incentives to participate have been so great, or the penalties so severe, that employees claim to be coerced into participating. Employers, on the other hand, are simply doing everything they can think of to boost their participation rates and improve health outcomes. Recently, these competing viewpoints again came to a head in EEOC v. Flambeau. In this case, a federal district court in Wisconsin ruled that an employer did not violate the ADA by requiring completion of an HRA and biometric testing in order to participate in the company’s group health plan. However, the court’s opinion did not hinge on whether participation was voluntary. Rather, it relied on the ADA’s safe-harbor exemption for bona fide benefit plans. Because the requirements of the wellness program were intimately tied to enrollment in the company’s group health plan, the voluntary standard did not apply. The court’s analysis was understandably a blow to the EEOC, which argued that the “voluntariness” standard was designed specifically for wellness programs, and that such an interpretation in effect gutted the language of the act. The case has been appealed to a higher court. While, for now at least, this is a win for employers, the EEOC will soon be releasing regulations on what it considers to be ADA-compliant wellness programs. Stay tuned for further legal developments. And be sure to involve legal counsel if you are considering implementing an employee wellness program like the ones described here.